The four pillars of progress are: high quality education; science & Technology; innovation and entrepreneurship; and a governance system that allows merit to prevail and offers quick and fair justice. Pakistan spends only about two percent of its GDP on education. For a nuclear state like Pakistan it is a shameful reality that we are ranked among the bottom nine countries of the world on this yardstick. This has been largely due to the stranglehold of the feudal system on our parliament which has given the lowest priority to education. It is not in the interests of the feudal landlords and rulers to allow an educated society to emerge that will challenge their lordly feudal lifestyles in which millions of peasants and farmers are exploited and held in virtual slavery. Pakistan did make spectacular progress in higher education after the establishment of the Higher Education Commission in 2002. For the first time, several of our universities were ranked in the top 600 of the world – with NUST at a respectable 273 and UET (Lahore) at 281. However, this progress came to a grinding halt after 2008, when the budget of the HEC was slashed by 50 percent, and over 90 percent of projects frozen. The enemies of Pakistan had succeeded in almost destroying the only sector that was showing good progress. In November 2010, the government issued a notification to shred the HEC into pieces in order to protect corrupt parliamentarians. The HEC had found that 53 of these national leaders had forged degrees while another 250 had degrees that were suspect. It was only on my appeal to the Supreme Court that this national disaster to shred the HEC was averted. The Supreme Court declared the government notification unconstitutional and restored the HEC’s status. Primary, secondary and technical education remains in a complete mess, with no hope in sight. Ghost schools, where teachers’ salaries are paid to servants of feudal landlords, are common, and illiteracy prevails. True literacy stands at only around 25 percent. In an illiterate nation such as ours, and the only one in the world where the feudal system prevails, democracy is just a farce. Corrupt politicians loot and plunder, amassing vast fortunes abroad, while poverty grows and engulfs most of the country, creating ideal grounds for terrorism to grow. Mass migration of talent and businesses abroad has further compounded the situation. 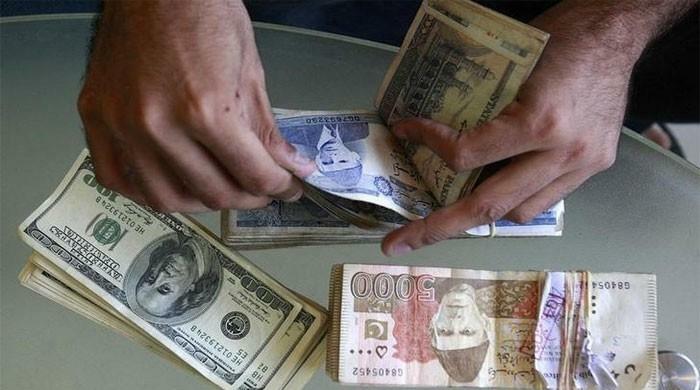 The US and its allies have been spending $200 billion annually in their war effort but if they had invested a quarter of this amount in education, particularly in Pakistan and Afghanistan, terrorism could have been tackled at the grassroots. Unless laboratory level research is translated into marketable products, a knowledge economy cannot be promoted. A number of steps must be taken to make this happen. First, Pakistan must have a clear Science, Technology and Innovation (STI) policy at the national level. The national STI policy should ensure that no development project is approved on a turn-key basis, and genuine transfer of technology must be an integral part of all development projects. Secondly, there should be liberal access to venture capital funding to support and foster new start-up companies based on innovative ideas. Thirdly, private sector R&D should be promoted through a dynamic incentivisation process. Lastly, there must be a clear national roadmap for transitioning from our low value-added economy to a knowledge economy. Such a roadmap was prepared under my leadership (a 300 page document titled ‘Technology Based Industrial Visio, Strategy and Action Plan for Socio-economic Development’) and approved by the cabinet in August 2007. It clearly lays out the projects that must be undertaken in various sectors such as agriculture, electronics, engineering, information technology, biotechnology, chemicals and pharmaceuticals, textiles etc. An inter-ministerial committee was formed for its implementation but it lies in government archives gathering dust. The migration from our low value added economy to a powerful knowledge economy just cannot occur unless we have a powerful government of visionary technocrats. The cabinets of China and Korea comprise the most eminent scientists and engineers in the country. Korea has given the status of deputy prime minister to its minister of higher education, science and technology. The present British parliamentary system of democracy has failed over and over again. We must bring in a presidential form of democracy and free institutions such as NAB, FIA, police, PIA, Pakistan Railways, Steel Mills, FBR etc from the clutches of the government. They should have their own completely autonomous status and independent merit-based appointment system of department heads. Without a visionary, honest and technologically competent government that ensures justice and merit, Pakistan cannot progress. There are numerous examples of how poor and weak nations have been transformed into powerful countries within a couple of decades once they have given the highest priority to these factors. We can learn much from them. In a number of countries in Asia this was achieved with remarkable due to strong and visionary leaderships. Take the case of Singapore. It is a small country with no natural resources. In 1960, it had a small but rapidly growing population of 1.6 million. In subsequent decades it was transformed into an economically powerful giant, all because of the visionary and honest leadership of one man – Lee Kwan Yew, Singapore’s first prime minister. He took charge as prime minister on June 5, 1959 and governed Singapore for three decades. The result: today Singapore, a tiny country with a population one-fourth of Karachi and no natural resources, has exports 20 times those of Pakistan and a per capita GDP that is higher than that of UK, USA, Germany or Japan. The prime minister should urgently honour his promise to the nation to invest at least four percent of GDP in education if we are to even take the first important steps towards building a strong knowledge economy. 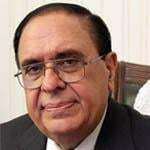 The writer is a former federalminister, former founding chairman of the HEC and presently president of the Network of Academies of Science of Islamic Countries.